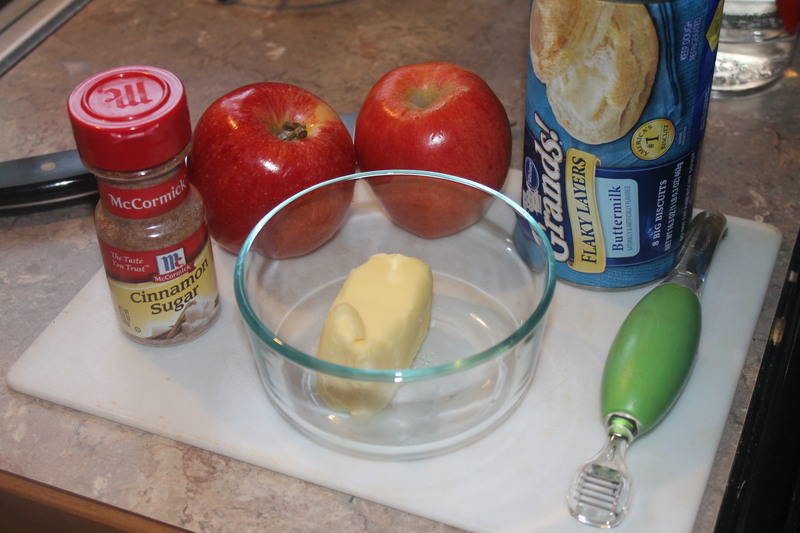 Mmmm….Apple Cinnamon Baked Treat Recipe (with pictures)! 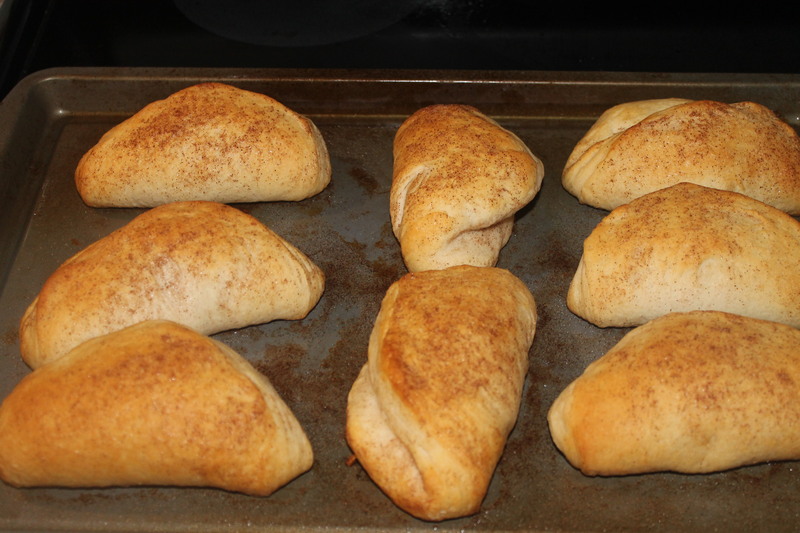 One package of Pillsbury Grands Biscuits or Crescent Rolls (I used the Crescent Rolls on Thanksgiving and the Grands Biscuits tonight. 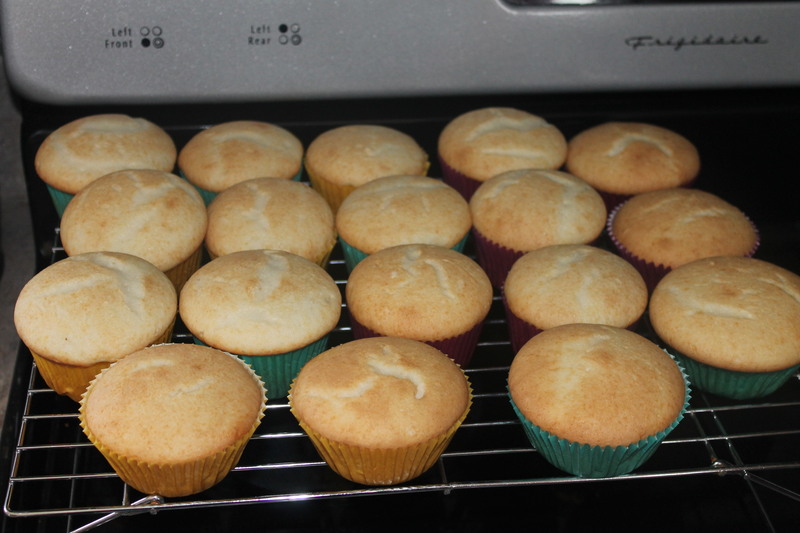 I’ve made these twice now. 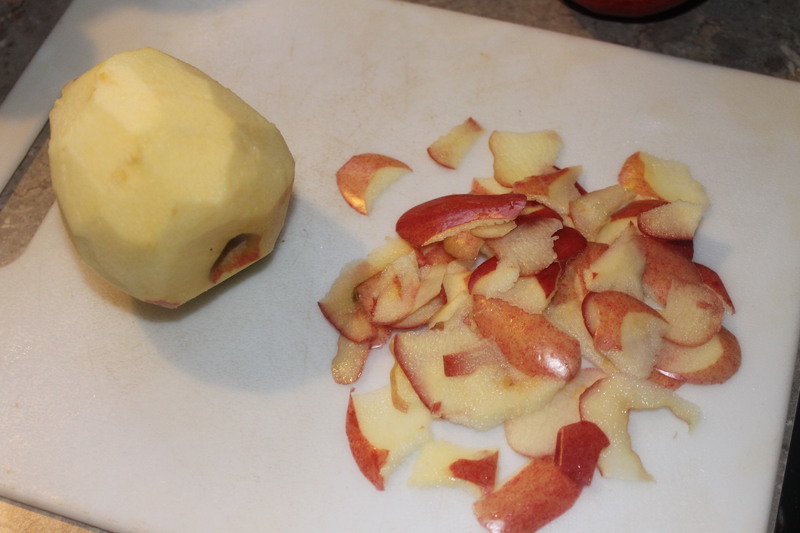 The first time I left the skin on the apples but tonight I peeled it before dicing it (I have texture issues with apple skins). Whatever you prefer will work. Dice your apple and set aside. 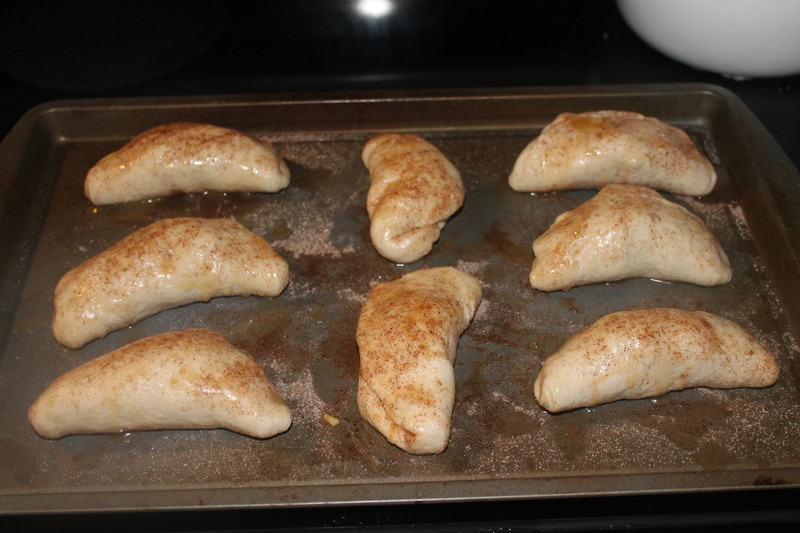 Unwrap the biscuits or crescent rolls and stretch out the dough (as pictured). 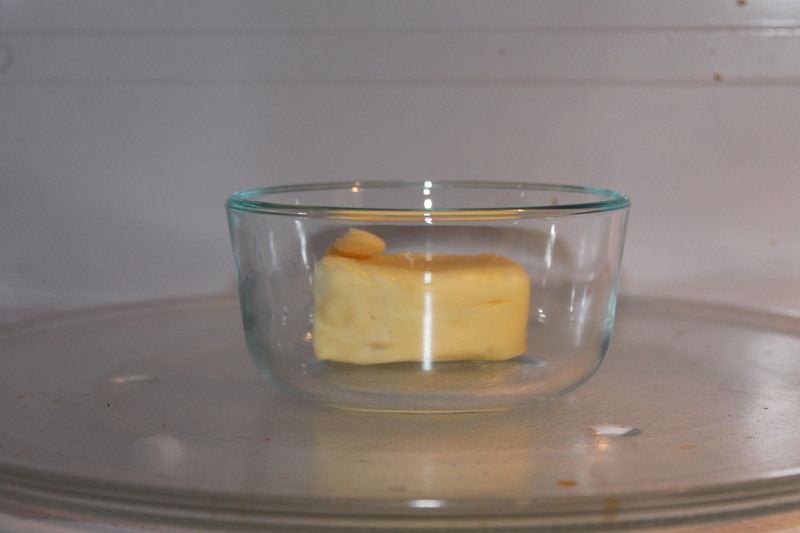 Melt 1/2 stick of butter in the microwave. 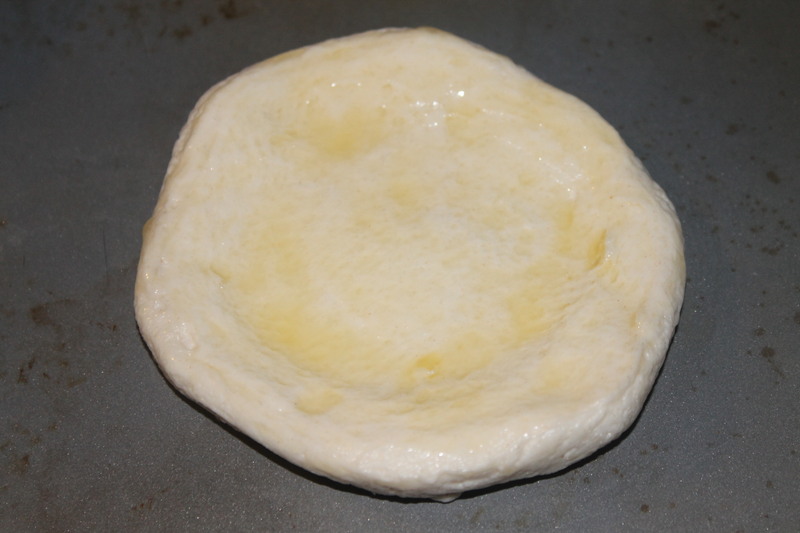 Brush melted butter on the top of each piece of stretched out dough. 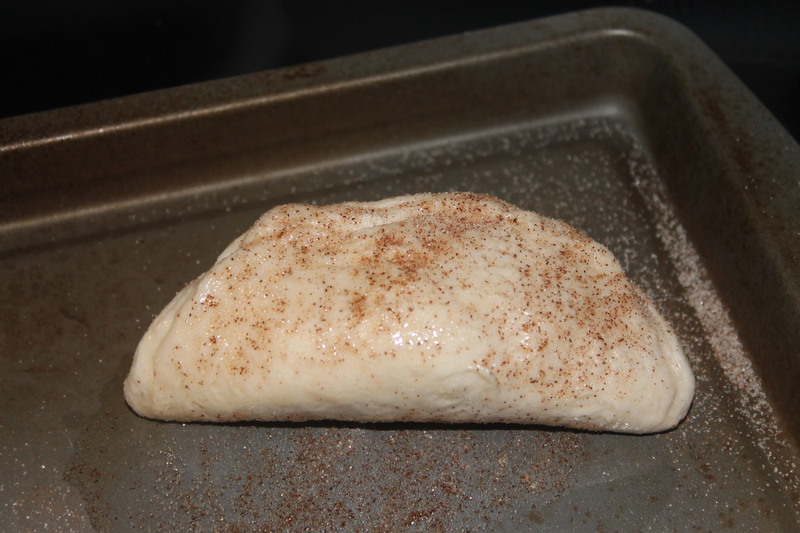 Sprinkle cinnamon and sugar on top of each buttered piece of dough. 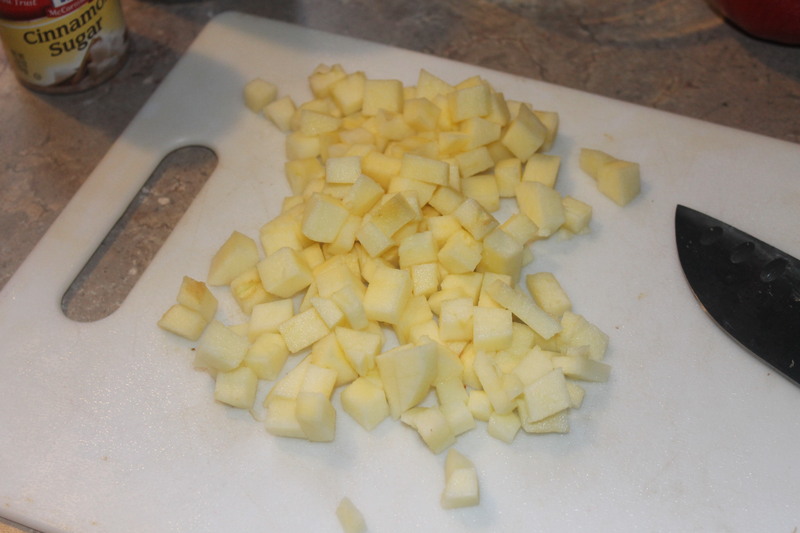 Place a small handful of apples on each piece. 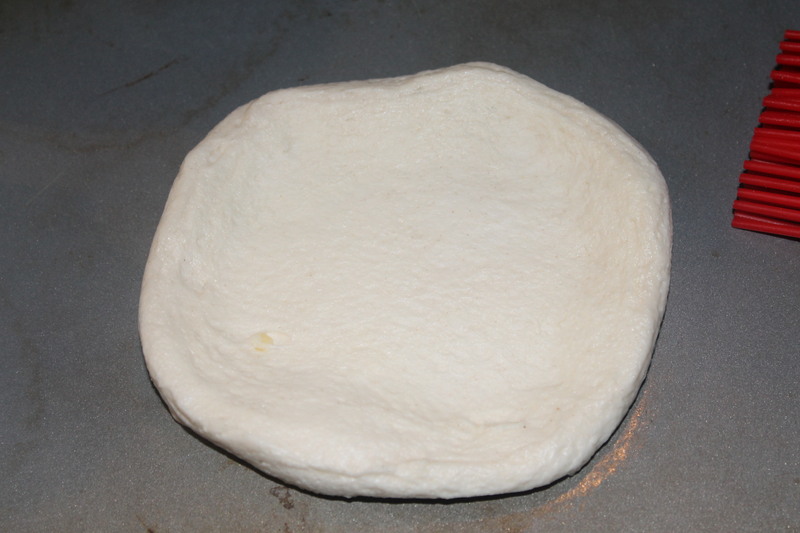 Fold over each piece in half to seal. 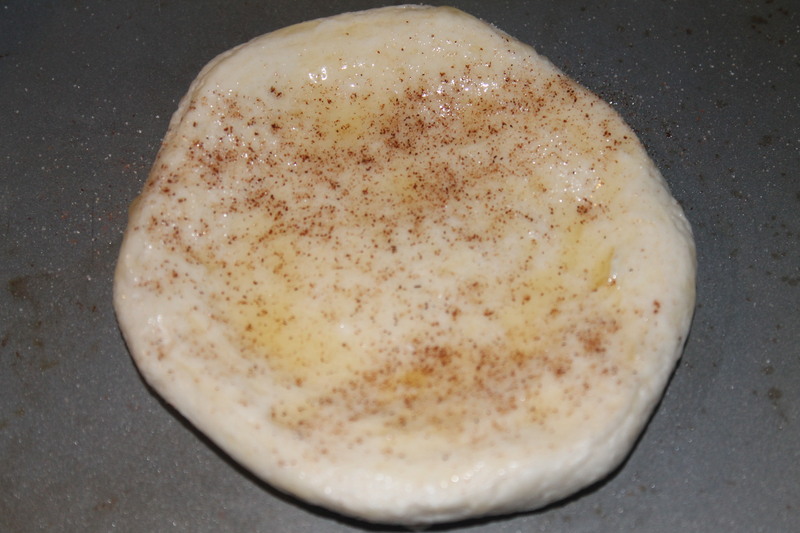 Then brush melted butter on each side and sprinkle with cinnamon and sugar. 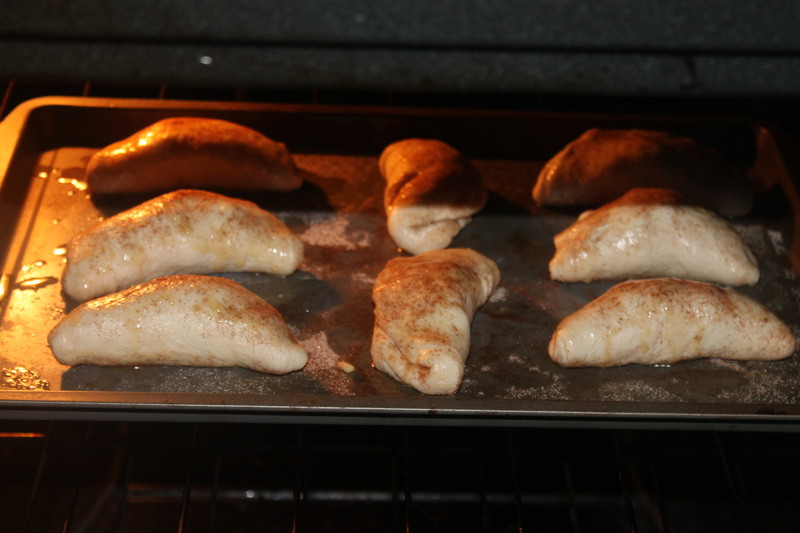 Once they’re oven ready, bake them at 350 degrees for 10-15 minutes (you’ll want to keep an eye on them). 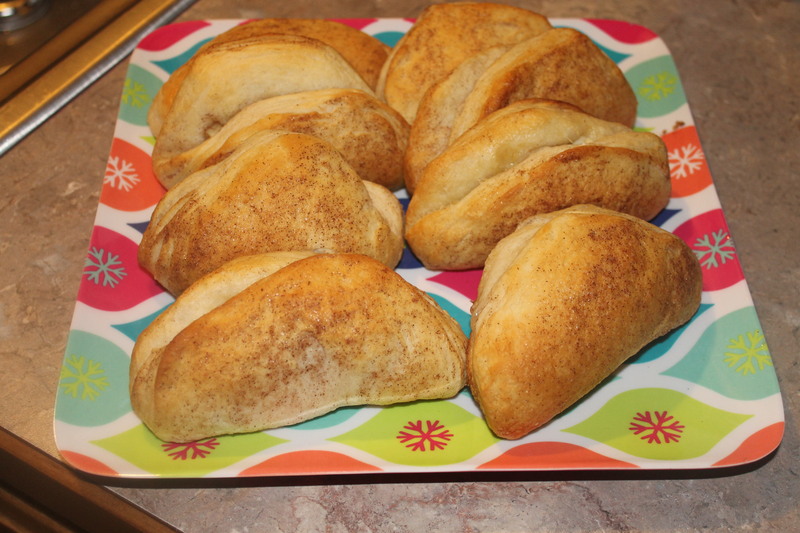 For best enjoyment, eat them warm with a scoop of Blue Bell (my personal favorite) vanilla ice cream. 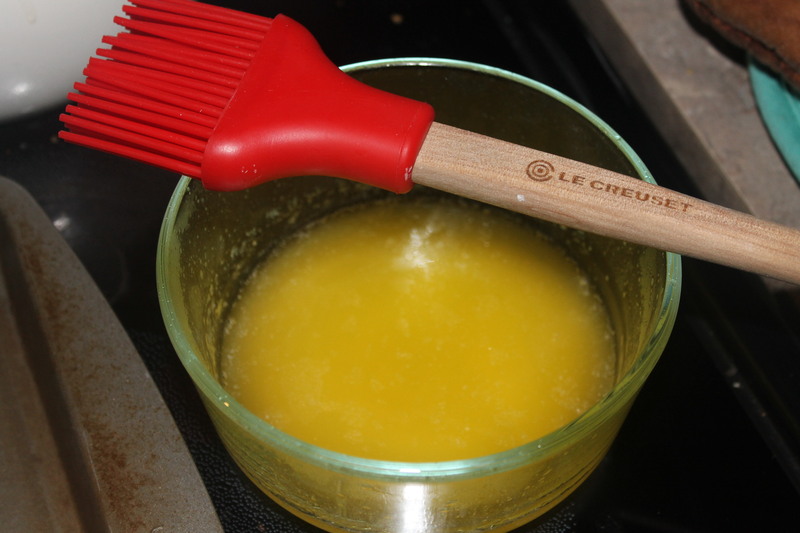 I think it would also be nice with some melted caramel drizzled over the top. 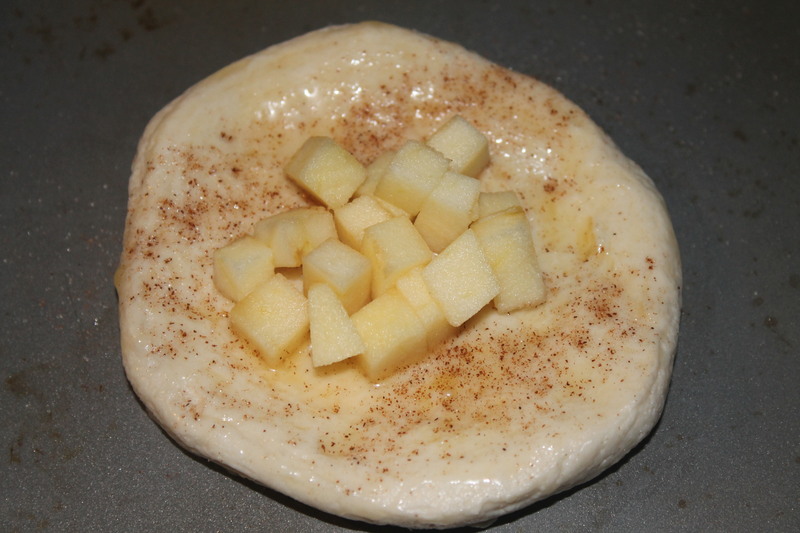 Since I’m not doing specific posts about the other two desserts, I thought I’d include some pictures of those as well. 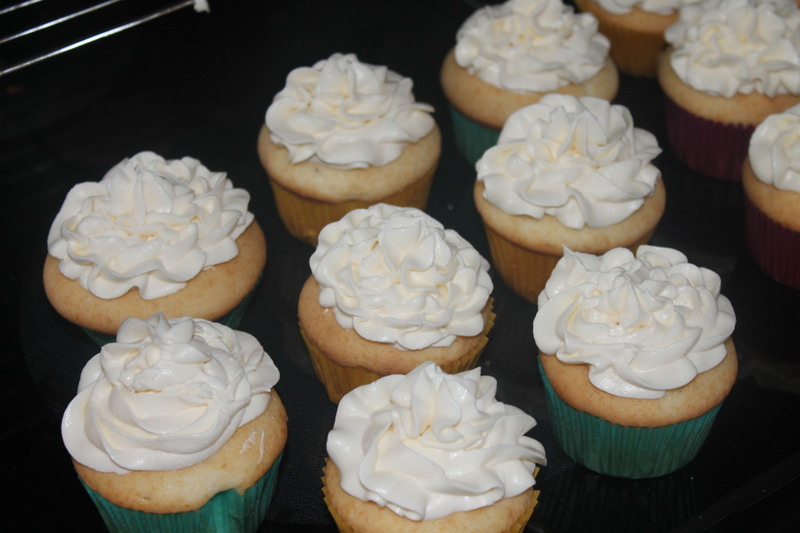 The cupcakes were a plain vanilla with a creamy vanilla buttercream frosting and the pumpkin pie (not pictured) was purchased from Costco. I feel that I should mention, in case you weren’t aware, that Costco has the BEST pumpkin pies this time of year. Not only are they ridiculously large but they’re also only $5.99 and totally delicious.